← The Famous Sheffield Shop………………………. Grin Up North 2011………Big Ron !!……. Please, Help if you can. 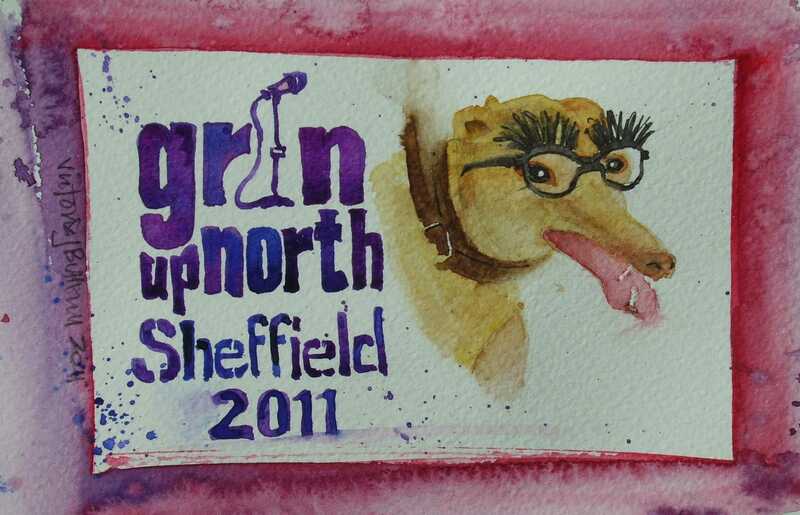 This entry was posted in Sheffield - watercolours and tagged Big Ron, Fabriano, Grin Up North, Grin Up North Sheffield Comedy Festival 2011, Retired Greyhound, Sheffield Retired Greyhound Fund, ShinHan, Toby Foster, Whippet. Bookmark the permalink. 2 Responses to Grin Up North 2011………Big Ron !!……. Is he smoking V? Or chewing peppermints? And how long since he had those eyelashes/glasses tested? Priceless!